Great news that Slovakia finally intoduces a hunting ban in Western Slovakia bordering Poland and Czech Republic in order to support setting up a viable and sustainable wolf population in Czech Republic. Wolf is protected across Europe, but Slovakia managed to get a derogation agreement from teh European Commission so wolf hunting continued in the country with a result of 120 wolves killed last year. We just received the good news from Hnuti Duha that a hunting ban in Western Slovakia in the 2013/14 season can support setting up a sustainable popultion in the Beskidy mountains Landscape Protected Area. This the largest Landscape Protected Area in the Czech Republic. It lies in the south-eastern part of the Moravian Silesian and eastern part of Zlín regions, on the border with Slovakia. The hunting ban is a result of regular lobbying of Hnuti Duha and Vlk (Wolf) Foundation. 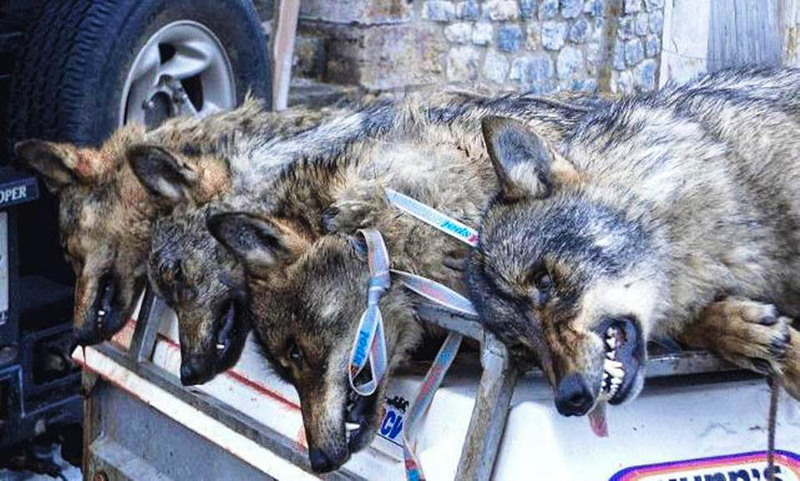 The European Commission has started an investigation, which could possibly help wolves in the Beskydy mountains. A legal wolf hunting, by which around 120 endangered carnivores are killed a year, is being investigated. This investigation has started thanks to the request from Friends of the Earth Czech Republic, Slovakian and Polish environmental organizations and hundreds of letters written by citizens of these states. “Wolf is a symbolic species for wilderness protection in Europe, so our Society is welcoming the decision of hunting ban in Western Slovakia. Although the species can live on highly modified landscape as well, in order to set up a viable population, its breeding requires peace and non-disturned areas. This move will hopefully lead to better acceptance of the wolf in Central European region” says Vlado Vancura, wilderness advocate of the European Wilderness Society. Hunting ban on wolves in Western Slovakia is a good news but I am not so optimistic about setting up a sustainable wolf population in the Beskydy mountains Landscape Protected Area in the Czech Republic.In spite of the fact that Hnuti DUHA annualy receive millions czech crowns for its project so called Protection of large carnivores, they absolutely failed in protection of wolves in the Czech Republic. After 14 years of Hnuti DUHA’s activities the situation with wolves in the Beskydy mountains LPA is critical. There is no wolf population in the Beskydy Mountains now. Members of Hnuti DUHA are trying to hide this sad fact because they could lose a huge sum of money from grants. This is a very good initiative to save the population of wolves especially in Europe where hunting is a serious problem! I stand corrected. Sweden will NOT do the hunt this year. My apologies. Good news all around! Great news! Too bad Sweden is going ahead with a hunt this year.